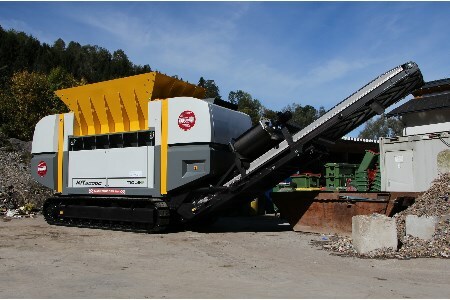 An UNTHA mobil-e shredder has supplemented Austrian firm's push for carbon neutral waste management. Struber, an Austrian firm specialising in waste management, disposal, and recycling, received the UNTHA mobil-e shredder as part of a plan for the expansion of its waste management facilities. Struber conducted extensive trials on the shredder, including the energy – efficiency of the power unit, as well as the shredder’s mobility and flexibility. This is not the first UNTHA machine that Struber has ordered from the shredder manufacturer. The company also has a solid recovered fuel production line, complete with an UNTHA XR and TR post shredder for particle refinement.